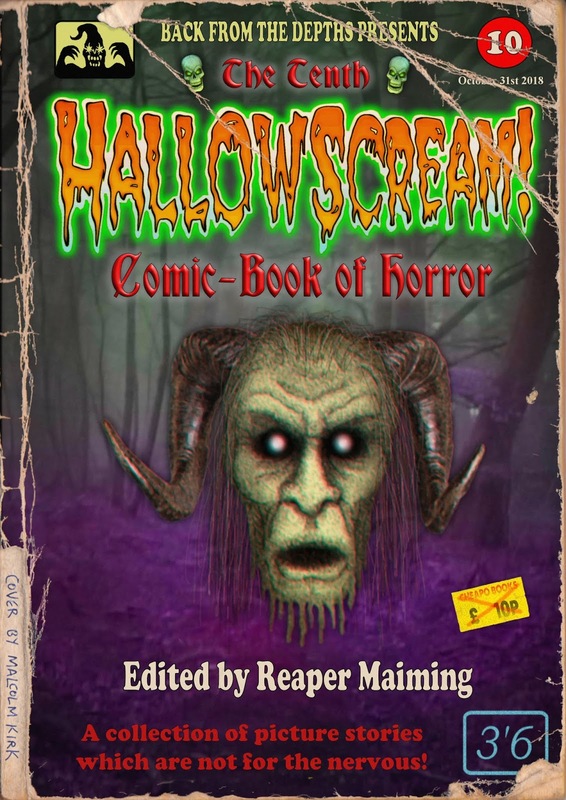 To get an idea of the sort of stuff we're after, you can download previous issues of Hallowscream here. 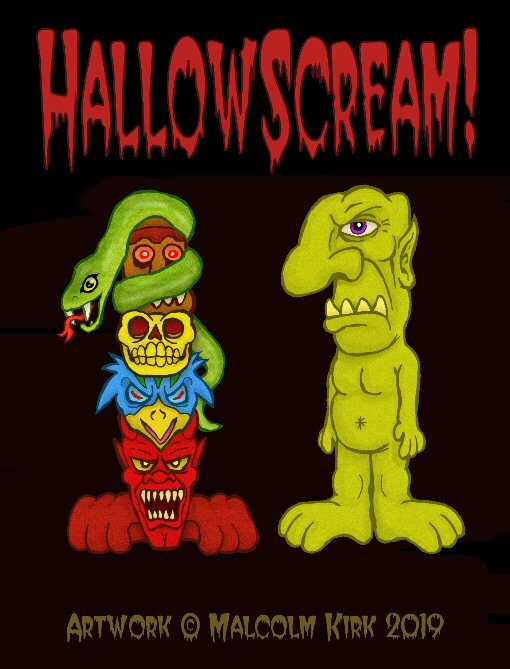 If you're looking to illustrate something, get in contact and we'll give you details of available scripts to see if anything suits your fancy. 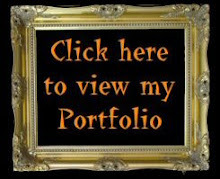 We'll also consider material previously published elsewhere, as long as the contributors own the copyright. 100 pages packed with excellent horror articles, news, reviews, previews and interviews for £4.95. You can also get subscriptions worldwide from their website. 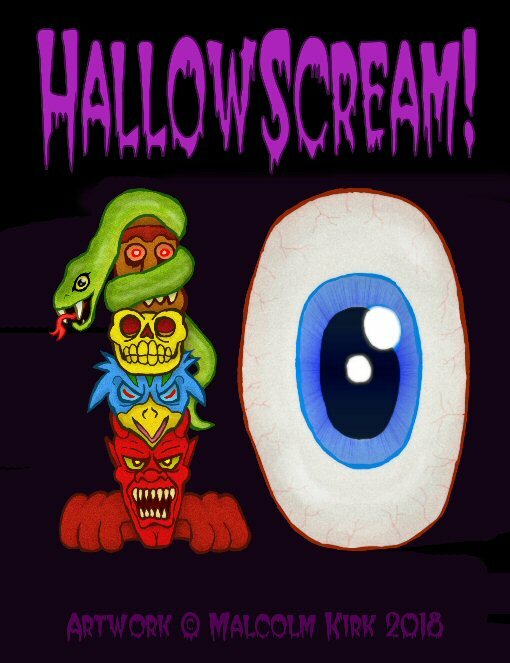 backfromthedepths.co.uk/hallowscream or you can buy real-life monochrome paperback versions from Lulu.com. HAPPY HALLOWE'EN! Bit late with this because I only just found out. 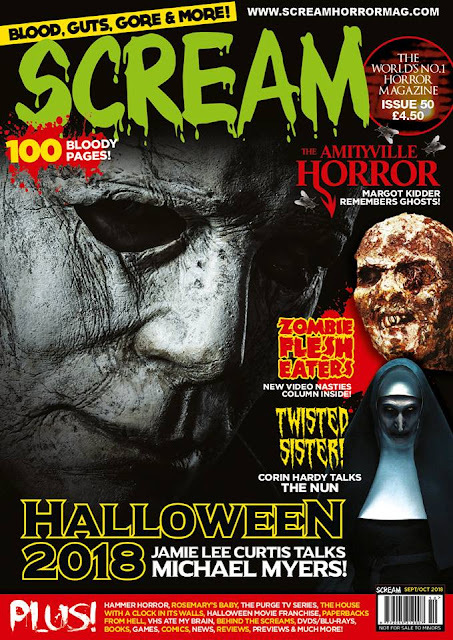 There's another page of my Deadvertisements in the latest issue of Scream, (the horror magazine), currently available in the UK from WH Smiths and most branches of Forbidden Planet, and Easons bookstores in Ireland. It should also be available in America and Canada in a few weeks time from Barnes and Noble, Books A Million and Chapters Indigo stores, (and probably in Australia from somewhereorother). That's issue 50 Sept/Oct 2018, £4.50, 100 pages, with a big scary picture of Michael Myers, a cheery buck-toothed mess of a zombie and Marilyn Manson a freaky nun on the front cover and lots of other very interesting sounding stuff inside. 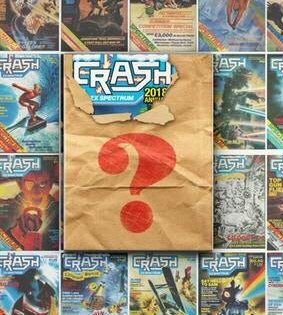 Available right now from Fusion Retro Books is the Crash Annual 2018. 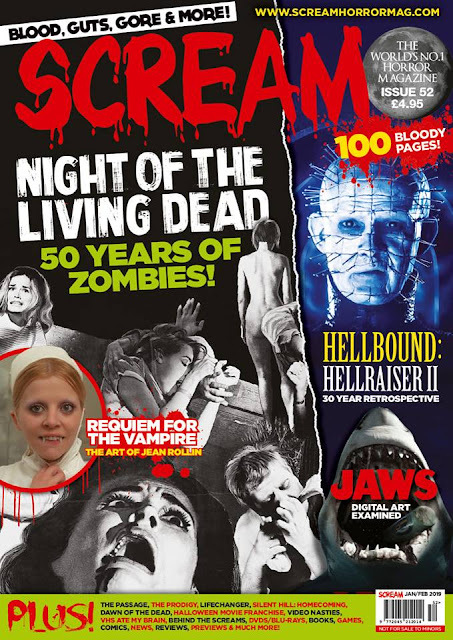 A 120 page hardback featuring news, reviews and features on subjects relating to the popular 1980s 8-bit computer, the ZX Spectrum. know what geeky folk in their 40s and 50s can be like. Tch, eh? The original Crash magazine was published from 1984 to 1992 and this book continues from where it left off, with the same look, the same variety of articles and some of the same people involved, bringing it bang up to date with the latest goings on in the thriving Speccy community. It's almost like it never went away, and well worth a look if you used to read it back in ye olden times or you've got a thing for retro computer systems. There's Oli Bugs in it and everything. The book is the result of a recent Kickstarter campaign, but is available to everyone from the Retro Fusion Books website for the reasonable price of £15. There are also a few copies left with the Kickstarter perks for an additional tenner. 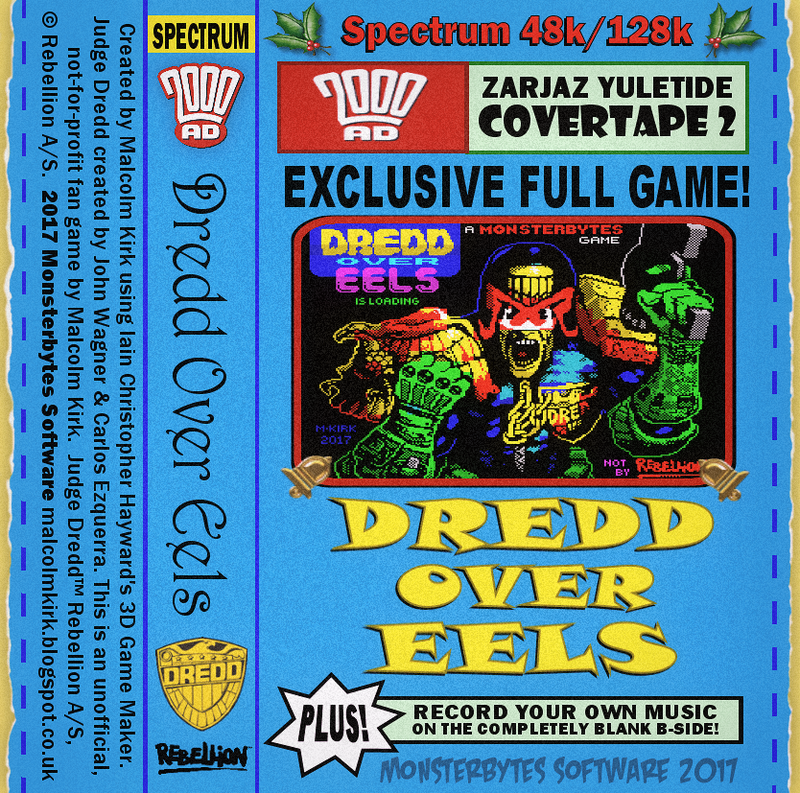 It's obviously way too late to order a copy and expect it to turn up in time for the 25th, but a Spectrum's not just for Christmas, is it? ...and if the Spectrum wasn't your 8-bit of choice back in the day, then you may like the news that there's a Zzap!64 Book planned for next year for the Commodore lot. So, "why are you mentioning this annual here, Malcolm?" I definitely don't hear you ask. 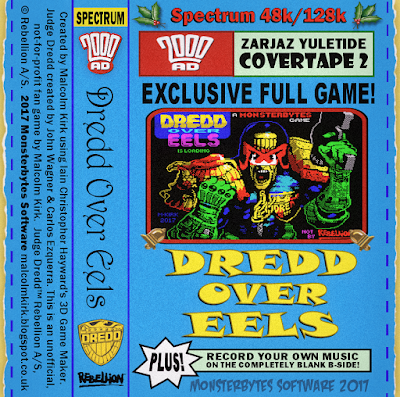 Because my Zombo Spectrum game is reviewed in it for one thing, (incidental review related tip : use the version of the game in the Mint Choc Chip folder if the key pressing thing is annoying you), and the post I'm writing for tomorrow regards matters of a related nature. Interested? I'll see you here tomorrow then.